Uluwatu is one of the most gorgeous parts of Bali. 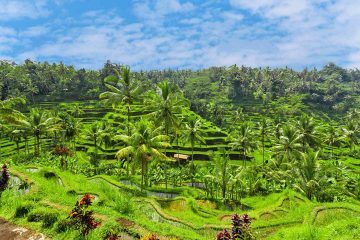 From the rock cliff faces plummeting down to the ocean to the beautiful sandy beaches stretching along the coast, Uluwatu is known for its incredible beauty. It has also become one of the most popular surfing locations in the world. But whether you’re an adventurer looking for adrenaline, or someone merely looking to take in the views while getting a massage, Uluwatu is the perfect destination. Check out some of these incredible places to stay for less than $150 a night! 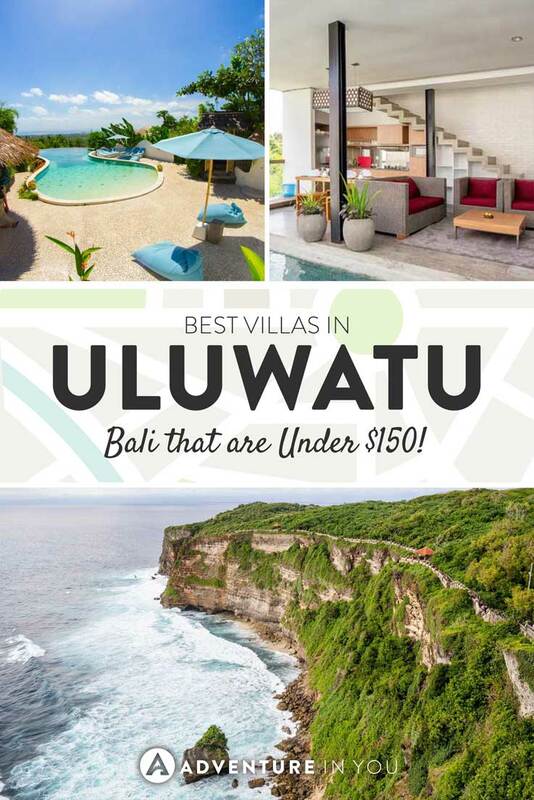 Editor’s Note: As Uluwatu isn’t that large, the number of villas in the area are quite limited, there are however, also a number of hotel options which you can see here. Expansive outdoor pools offer views of the nearby lake and golf course. The seclusion makes for a quiet and relaxing stay, away from the busy noise of the town. 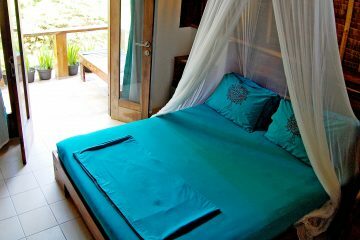 The villas are spacious and well-furnished, with comfortable living areas and fully-equipped bathrooms. Poolside massages are available, or you can rent a scooter to zip on down to the beaches for a day in the sun. These villas look traditional and charming on the outside while maintaining all the comforts of home on the inside. Fully equipped kitchens, modern bathrooms, and even private salt water pools and decks make for an amazing place to stay in Uluwatu. The beach is only a three-minute walk away, with scooters and cars available for hire if you want to explore the island further. These villas have a unique feature that I actually really love–the private plunge pools are attached to the main living area. Most of the pool is uncovered, but it starts indoors under the balcony of the second floor. This gives you a lot more privacy and also super easy access from the couch to the pool! Bedrooms feature wide, floor-to-ceiling windows offering incredible views of the surrounding areas. Staying here is a must if you’re in Uluwatu! While Villa Masayu boasts of villas with ocean views, it’s a bit of a stretch. You can see the ocean…but it’s definitely not too close. But what’s nice is that the staff can help with scooter rentals or hiring a car so you can get to the beaches quickly. The villas here are really big and are well equipped with modern amenities. The pools are sizeable too, with hardwood decks and lounge chairs for soaking up the sun. Definitely, a beautiful spot to stay. The location of these villas is ideal. It’s close to one of Uluwatu’s best beaches, as well as a number of restaurants and bars. The furnishings and styling of the villas are definitely more modern luxury than traditional charm. It depends on what you’re looking for in your stay, but I tend to lean toward thinking that the more luxurious, the better! Outside of the villas are beautiful gardens and terraces that give the illusion of being immersed in a jungle paradise while still maintaining all the comforts of home. With bamboo walls and thatched roofs, these villas definitely feel like authentic Bali. While the style of the buildings is a little more open-air and basic, the views are truly unmatched. Two tiers of pools on the hillside overlook stunning views of the forests and ocean below. The villas and pools are surrounded by lush greenery, towering trees, and beautiful flowers, creating a tranquil and relaxing environment. Just a short drive or walk to plenty of restaurants and bars. The private pools at these villas are much bigger than most others in the area. The interiors of the villas are modern and well decorated, and the bathrooms are huge. These villas are best if you’re looking for all the amenities of a luxury hotel with the added privacy of your own place. They’re lacking in that authentic Balinese feel, but make up for it with five-star pampering and gorgeous views. A nice feature of these villas is that in addition to the private pool area there is also a large walled-in garden/yard. It makes it feel a little more like you have your own space. The rooms are basic but well equipped. The kitchens are spacious and the villas also come with furnished balconies so you can enjoy the views from outside. 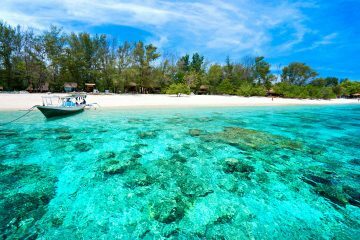 The beach is just a short walk away, too, which is ideal. These villas feel light and sunny with bright colored accents that match the hue of the pools outside. With four bedrooms right near the beach, staying here will feel like renting a luxury summer home more than staying in a villa. If you’re staying with a few people (the villas can fit up to 8) it because super affordable to stay here. And with the beach right outside, what could be better?